specialising in Austro-Hungarian cakes and tortes. We have been a fixture in Bondi’s gastronomic scene since 1979, with a large range of cakes varying from the traditional Apple, Cherry and Cheese and Cherry Strudels to the fusion – a Gluten Free Hungarian Tiramisu Torte. Since we opened we are now seeing the fourth generation of customer passing through our doors, the reason? All our products are made in house with only the finest quality ingredients. We have never sold out to ambition or empire building. Few places can claim to make the range of products as we do in our premises, and all created from scratch. No pre-mixes, no funny numbers, just the pure of the pure: butter, chocolate and more butter. Do not expect to be hit by subtle and delicate flavours. When you have our Chocolate mud Cake, you will be hit by Chocolate, when you have a slice of any of our well known Poppy seed cakes you will return an addict. 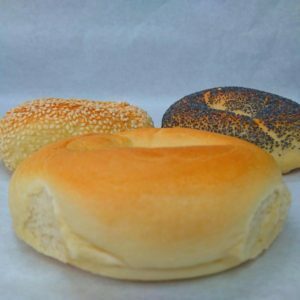 We are well known for our specialties such as the Chocolate Kuglouf (which has a well known international reputation) and our Bagels which have consistently rated amongst the best in Sydney according to the Sydney Morning Herald Good Food Guide. Our Ice-cream is made in-house too and exclusively available in store only. It is special – very special (no subtle flavours there either). We possibly have one of the top three best Chocolate Ice-creams on the planet. The Kuglouf is the undisputed King of its Class, all others pale into insignificance. Many are surprised that the Gluten-free products we make actually taste so good! Our Danish’s and Snails use the traditional Austro-Hungarian recipes and we make our own fillings – lush and moist. We have strong cult followings for the Bonvivont, Cabbage pockets and Savoury Scones (Cheese, Potato or Chicken Crackling) come join the following. 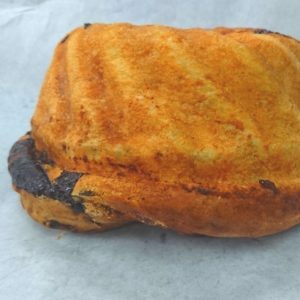 Our cheese pockets, 4th generation recipe and an old technique now lost to modern pastry cooks. Wellington Cake Shop's house specialty, known right around the world. Wellington Cake Shop's Kuglouf is often used to make friends, traded as a gift or to settle disputes - no one can argue with a mouth full of this stuff! 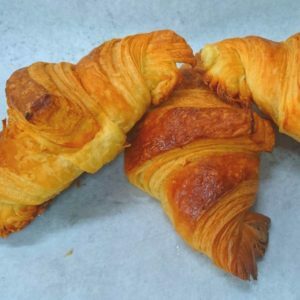 Some say that the home of the Croissant is France, but it really developed in the courts of the Austrian monarchy as a celebration in defeating the Ottoman armies at the gates of Vienna, hence it's crescent shape. Wellington Cake Shop's bagels are well known throughout Sydney and have a reputation for quality and style as thetraditional bagel. Made popular in New York at the beginning of the Twentieth Century.